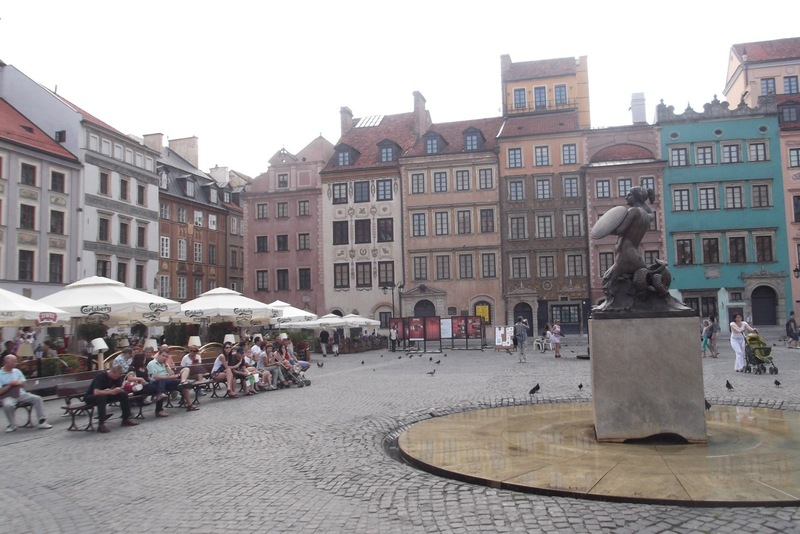 In this context, quite why they so meticulously reconstructed the Old Town – even down to putting the cracks in the right places in the walls – is a mystery. Can you spot the difference? Turns out that wasn’t the only piece of bad timing: a couple of days before the 68th anniversary, they had closed the Rising monument too, so I couldn’t see that. 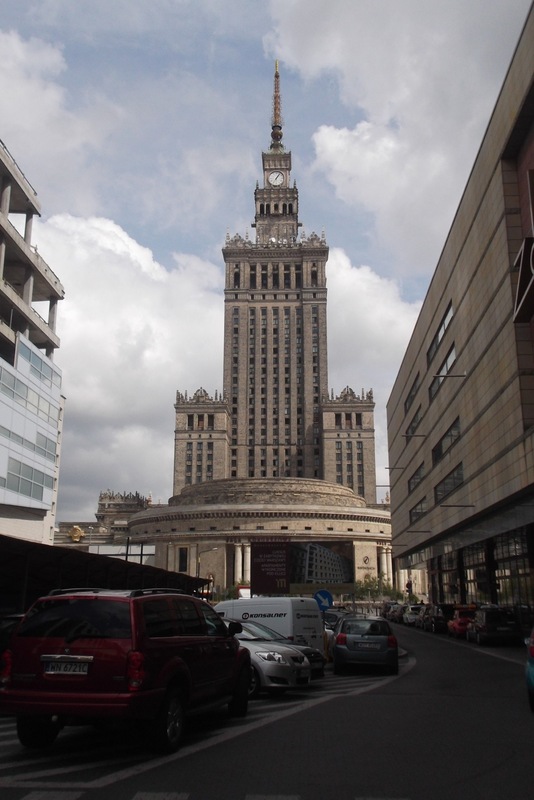 The only place I did go in Warsaw was the Jewish Historical Institute. 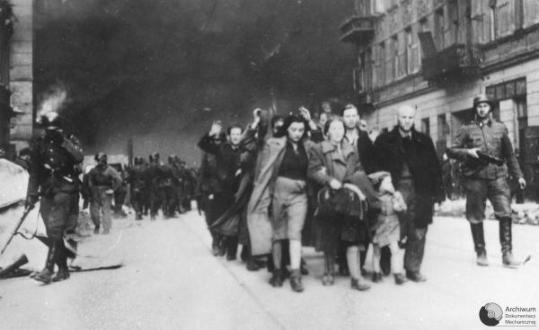 After the Nazi invasion, a small group of Jews started to create a secret archive of photographs and documents recording life in the Warsaw ghetto and their treatment at the hands of the occupiers. After the war, a survivor located it – or the two thirds that had not been destroyed – and now a selection is displayed here on the walls. 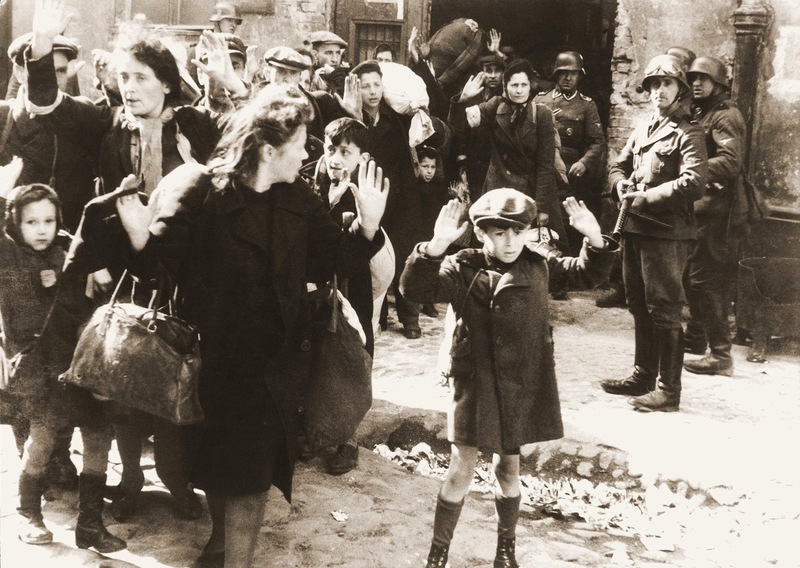 Having established the ghetto and trucked in hundreds of thousands in cattle cars from other Polish cities so that 450,000 mostly displaced persons were crammed in to three square miles, the Nazis then sealed it from the outside world with a wall, and cut off the food supply. There was lots of smuggling but also mass starvation and disease, which the Nazis used as “proof” that Jews were dirty and contaminated. They rounded Jews up and shot them, and then rounded them up en masse and sent them to Treblinka to be murdered. 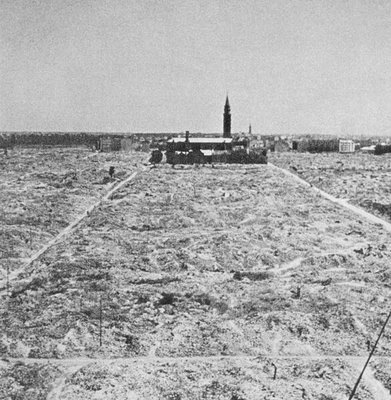 When, in a final convulsion, the ghetto rose in resistance – the first mass uprising against Nazi rule – and the Polish and Jewish flags flew together on a rooftop for four days, the SS burned and drowned civilians in their basements, executed the survivors in the streets or by sending them to Treblinka, and finally blew up the synagogue and flattened what remained of the ghetto. 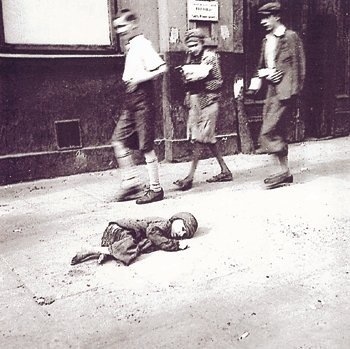 The pity and the inhumanity – the horror suffed by the children – all this is documented here in photographs, some of them from the archive, but others taken by the Nazis themselves. The only small gratification is that the SS officer who so brutally put the rising down swang from a Polish rope in 1952. This entry was posted in road and tagged central Europe, holocaust, Judaism, Nazis, Poland, Soviet empire, Warsaw, World War II. Bookmark the permalink.